Guatemala City (AFP) - Guatemalan prosecutors formally charged former vice president Roxana Baldetti with corruption Monday, three days after she was arrested for allegedly masterminding a customs bribery ring with President Otto Perez. As angry protesters continued calling on the embattled president to resign, prosecutors told the court that Baldetti took a 50-percent cut on all illegally slashed customs payments, for a total of some $3.8 million between May 2014 and April 2015. They called her one of the ringleaders of a massive, highly organized bribery scam that has rocked Guatemalan politics -- less than two weeks from elections that will decide Perez's successor. The scandal has been dubbed "La Linea," for the hotline that investigators say businesses would call to ask corrupt officials to illegally clear their imports through customs at a fraction of the actual tax rate. The scandal erupted in April when a United Nations commission tasked with fighting high-level corruption in Guatemala accused one of Baldetti's top aides, Juan Carlos Monzon, of running the bribery scheme. Baldetti, 53, resigned as vice president on May 8. She was arrested Friday at a private hospital where she had checked in for gastrointestinal and heart problems. She is now being held at a Guatemala City military base outfitted with a prison for high-profile inmates. Monzon, her former private secretary, is still at large. 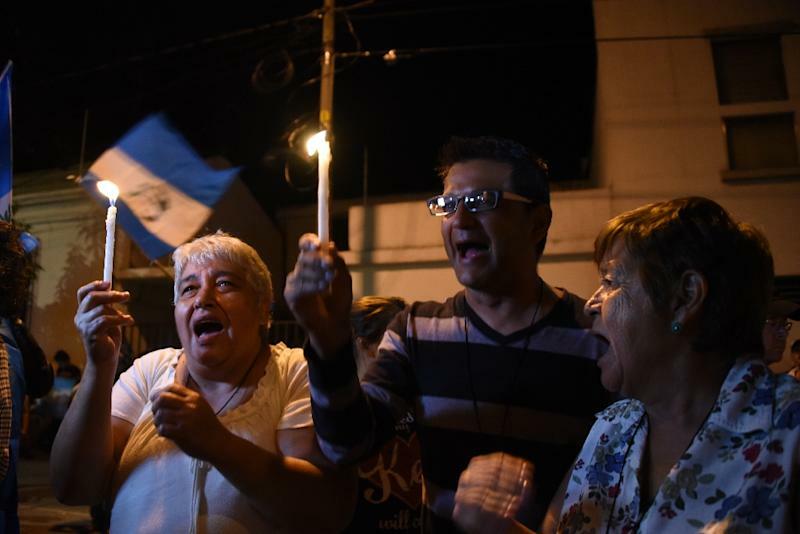 The UN commission -- officially called the International Commission Against Impunity in Guatemala (CICIG) -- launched its investigation in May last year. The probe has also netted the head of Guatemala's tax administration, his predecessor and several dozen other agency officials. The heads of the central bank and social security administration were also arrested in May over a separate corruption case uncovered by the commission. 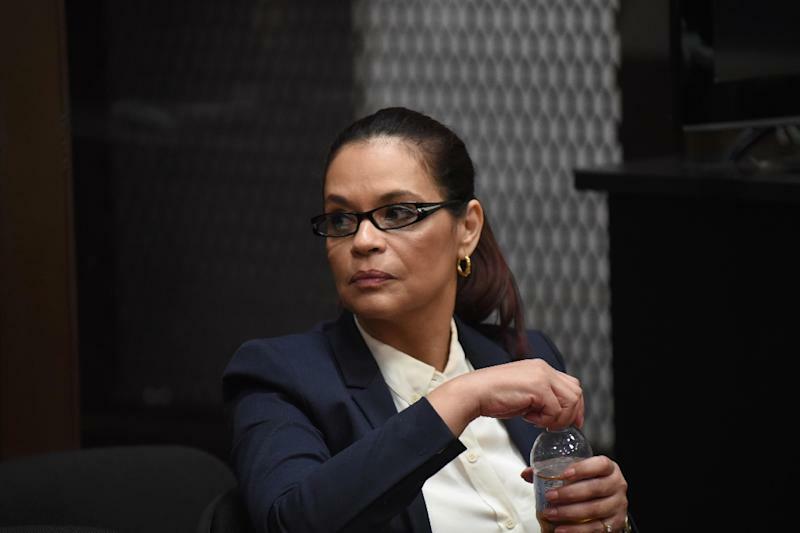 UN investigators say their findings in the "La Linea" case are based on some 86,000 wire-tapped phone calls, some of which prosecutors played out in court Monday as Baldetti, dressed in a blue suit and beige blouse, took notes. Prosecutors said the former vice president placed hand-picked officials in strategic posts at the customs authority to carry out the scheme. 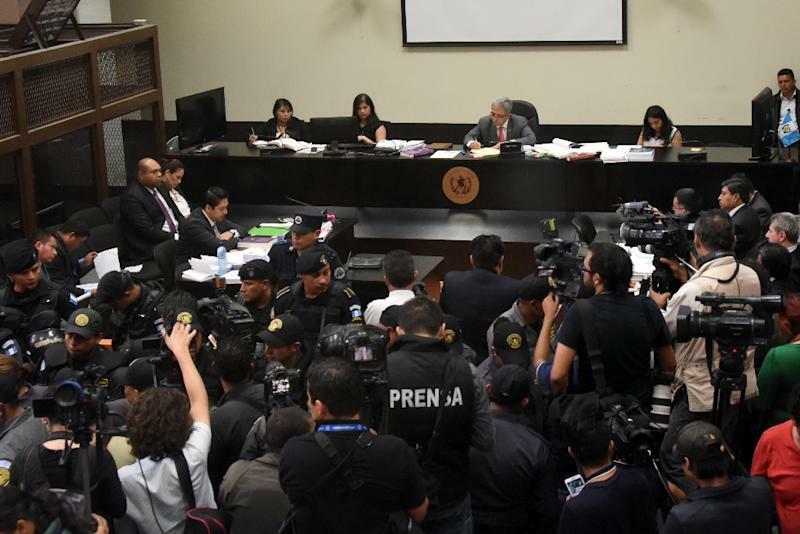 The recordings played out in court included one that prosecutors said was of President Perez ordering the former head of the tax administration, Carlos Munoz, to replace a top official. "Why don't you want to change the human resources guy for me?" he asks. The man identified as Munoz then says he will fire the current official and replace him within 24 hours. "I know him well," he says, referring to the new director. "I know he won't pull any dirty tricks on me." He then asks the man identified as the president for a private meeting to explain "where I want to take this thing, so you can tell me if you agree with me." "OK, let's do that, I'd be happy to," he replies. Calls for Perez's resignation meanwhile continued to mount. The president's refusal to step down is "an insult to our intelligence," said Jorge Biz, president of the powerful business owners' association CACIF. Nobel Peace Prize winner Rigoberta Menchu also called for Perez to go, encouraging citizens "to continue defending dignity and justice by remaining united in the fight against corruption and impunity." And the special prosecutor in charge of human rights, Jorge de Leon, said it was "extremely important that the president resign and face trial." Perez, a conservative retired general who has been in power since 2012, escaped a bid to lift his presidential immunity earlier this month when Congress rejected the measure. The 64-year-old leader is not eligible to stand in the September 6 elections. In a nationally televised address Sunday, he defied calls to quit before his term ends in January, saying he "categorically" rejected allegations he led the bribery scheme. The leading candidate to succeed him is Manuel Baldizon of the right-wing Democratic Liberty party. But Baldizon's running mate, Edgar Barquin, has also been caught up in a corruption scandal over allegations of money laundering.